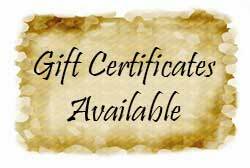 Gift certificates make excellent gifts for weddings, anniversaries, Valentine’s Day, birthdays, office reward certificates for a job well done, Christmas, Mother’s Day, Father’s Day, or as a treat for an expecting mama! When you buy a Gift Certificate for a new customer, you receive $10 off YOUR next massage. To buy a gift certificate, simply talk to Dara to arrange. You may speak to her during your massage therapy visit or contact her to make arrangements.